You lost keys to your car and don’t have a spare. It’s a digital transponder key unit or even worse, a keyless entry remote. How are you going to get someone to replace a key like that? Easy. Call M&D Locks and Keys. Car key replacement is our specialty. No other locksmith in New York City even comes close to our capability. You have a sophisticated key FOB or remote car key unit that you’ve either lost, need reprogrammed or even replaced. Having invested in the most advanced key duplication equipment on the market, our vans are equipped with all the tools to make you a brand new key on the spot, even keyless entry remotes, FOB keys and transponder keys. No going back to the shop for parts while you wait. We have everything right within our mobile locksmith units and our technicians have been specially trained on every make and model of car so no matter what you drive, we have a solution for you. Transponder keys, FOB Keys, remote access devices, panic buttons and keyless entry units can all be duplicated by our experienced locksmiths, even without the original. We simply enter the right information into the system and contact your auto manufacturer with the details. They give us the specs and we can have a new key for you in no time, night or day, 24/7. You want your key replaced or reprogrammed fast so you can get on with your day. Many other locksmiths in Manhattan and Brooklyn refer key programming jobs to us because M&D has the technology to program or make a brand new digital key unit. And each one of our mobile units carries this technology. The NYPD, New York City Sheriff and US Marines all trust M&D Locks and Keys for their lock and key replacement jobs. Bob Baker of Manhattan also uses us for their cars as well, as do Geico Insurance, the New York State retirement System and thousands of New Yorkers and residents in the tri-state area. Many NYC locksmiths consumers call are not real locksmiths. They’re call centers and they’ll send your service job out to whoever gives them the highest price. Often, these locksmiths are not licensed or insured. All M&D technicians are highly trained not only in every lock and key situation, but on the streets of New York City as well so when you call, you’re not only getting a licensed and insured lock and key professional, you’re getting someone who can maneuver the side streets of the City during rush hour to get to you fast. Once we arrive, we have the technology and experience to get you back on your way fast, too. M&D Locks and Keys is a member of the Associated Locksmiths of America and we promote honest and fair business practices among those in the security industry. We know trust is important, so we go out of our way to make sure you are comfortable and safe. We love tough jobs, especially those that our competitors can’t do. Duplicating your transponder, remote access, keyless entry and panic button units would be good enough, but we’re also good at extracting broken pieces from ignition systems. Have a key broken off or stuck in your car door? We have special tools for that, too. M&D is a full service locksmith specializing in automotive, residential and commercial lock and key situations. If you’ve got a lock or key problem, we’re here to help. 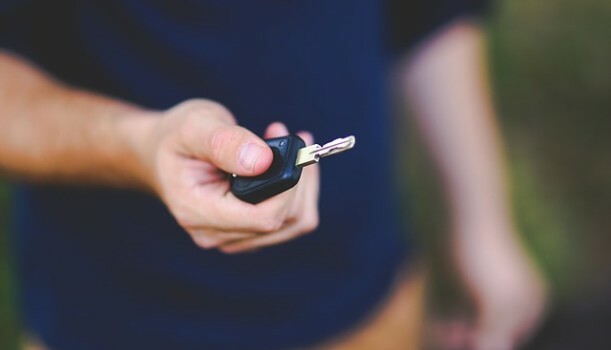 Remember, regardless of the kind of car or truck you drive, M&D Locks and Keys are New York City’s top automotive locksmith, specializing in car key replacement, but a whole lot more. Call us 24/7 for emergency lockout service or to replace a lost or stolen key. A mobile technician is right around the corner.